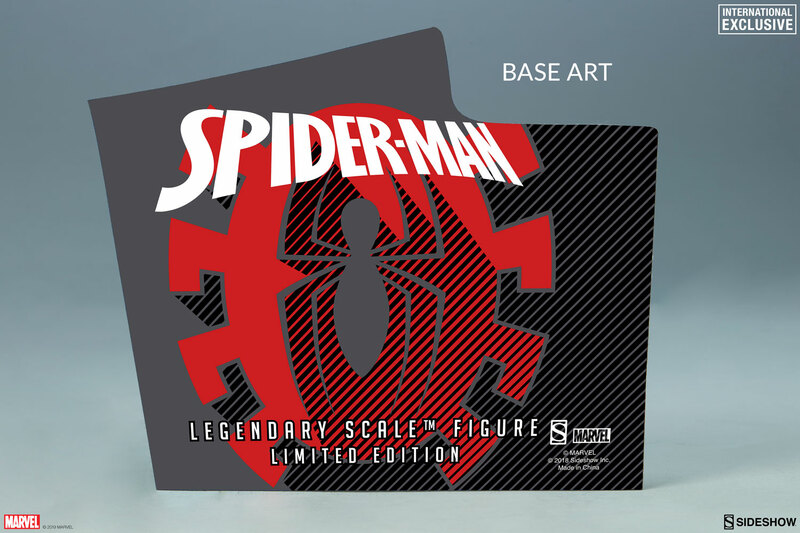 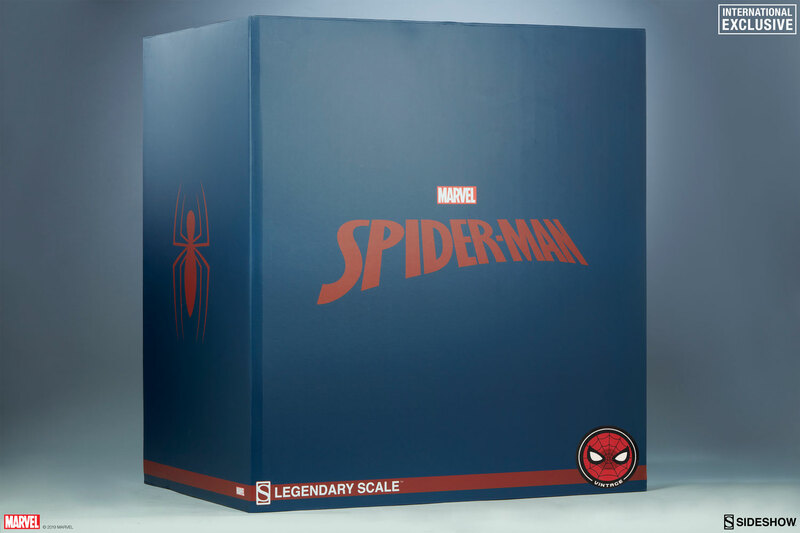 The Spider-Man Vintage Legendary Scale™ Figure is an International Exclusive edition, only available for order through international Sideshow retailers. 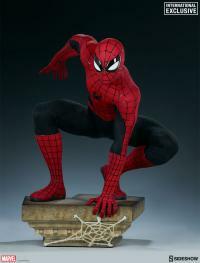 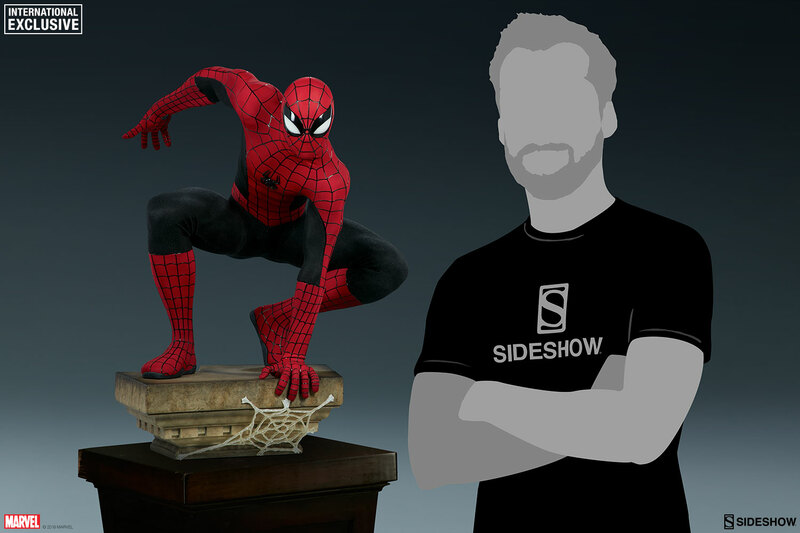 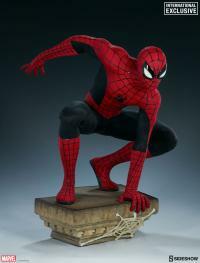 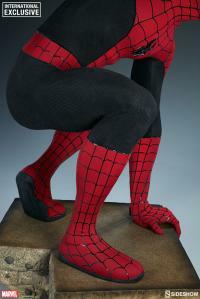 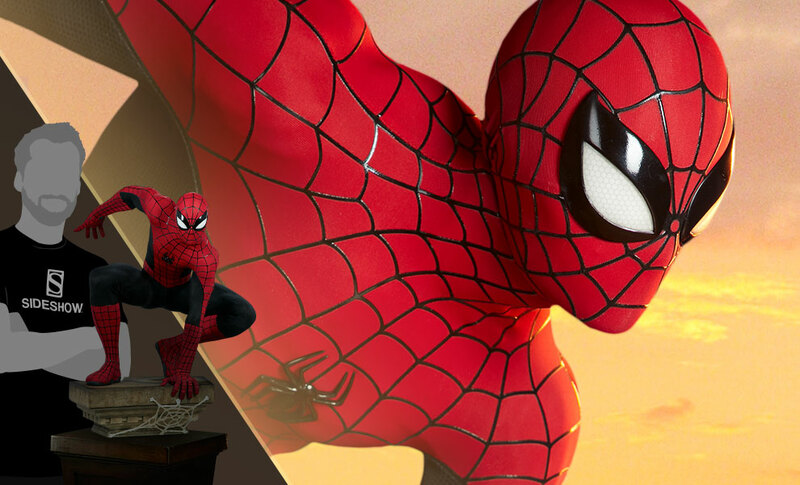 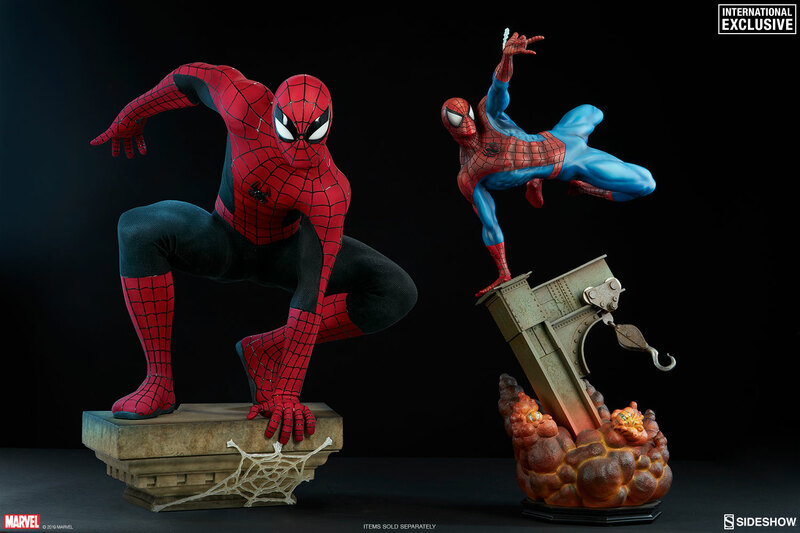 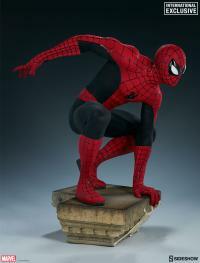 Sideshow presents the amazing, the spectacular, the sensational Spider-Man Vintage Legendary Scale™ Figure! 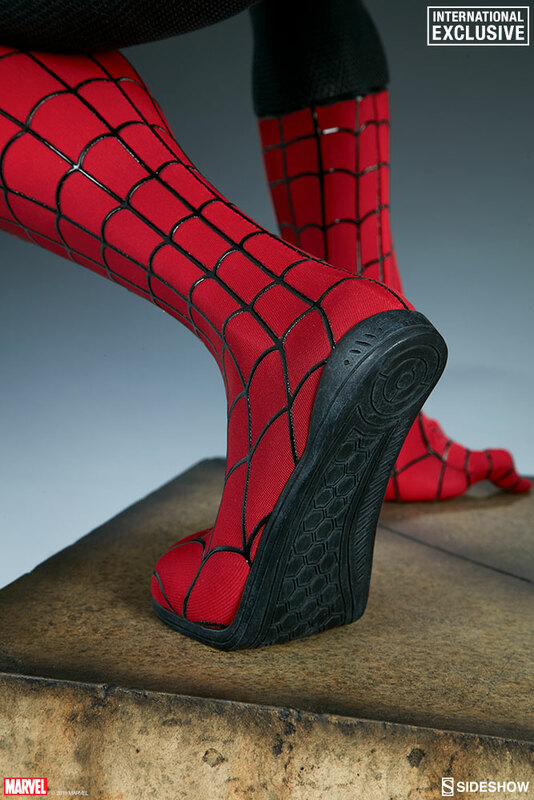 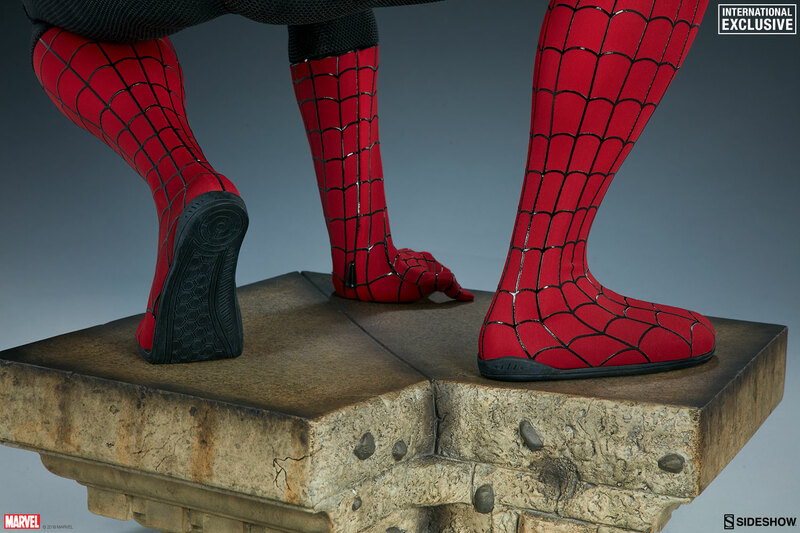 As a part of Sideshow’s Legendary Scale™ collection, everyone’s favorite wall-crawler measures 24” tall in 1:2 scale, perched atop a New York building base. 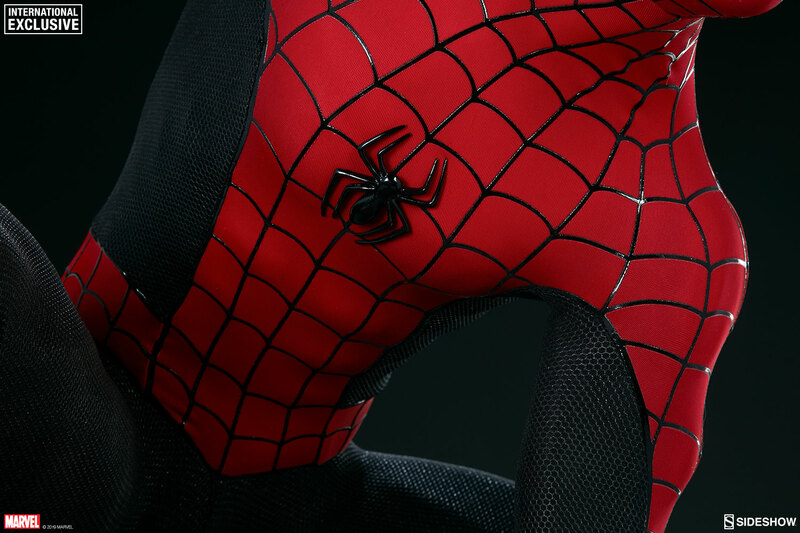 A single spiderweb wraps the base to warn criminals that this is Spidey’s neighborhood. 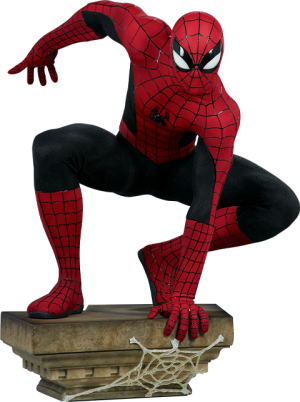 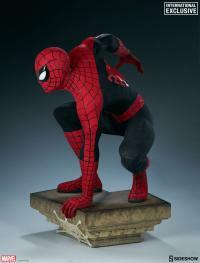 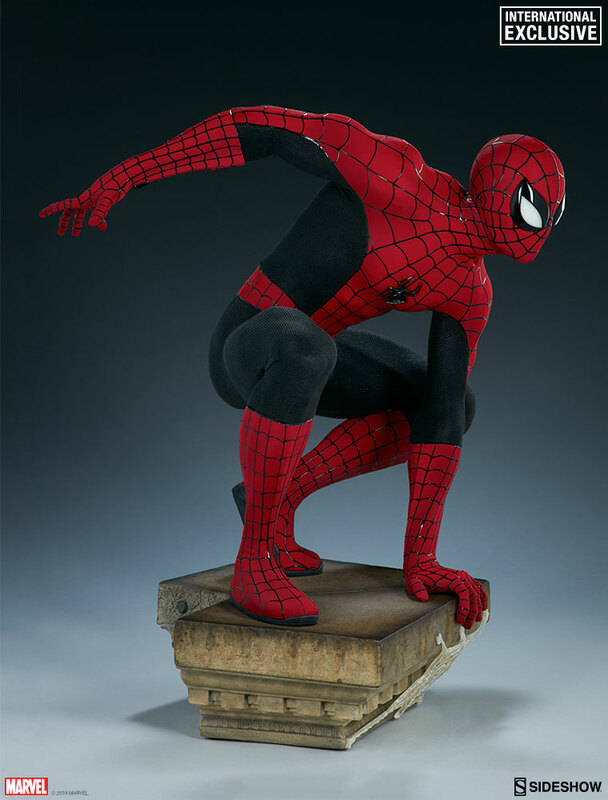 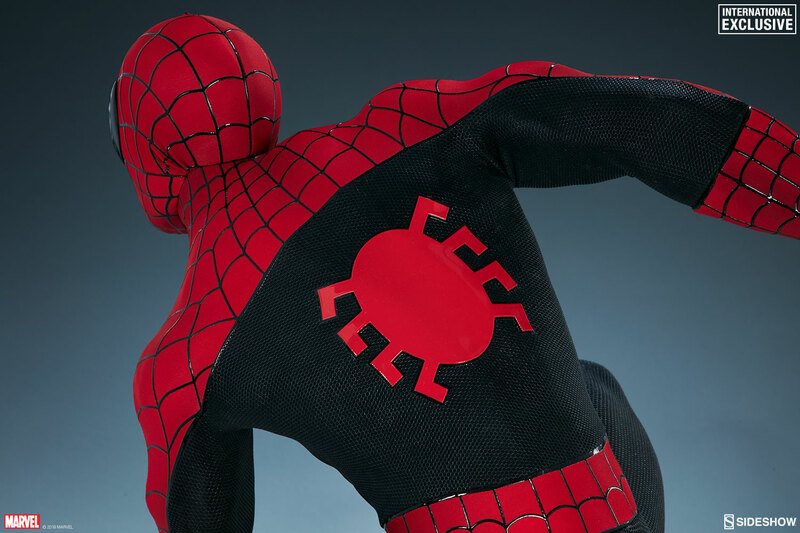 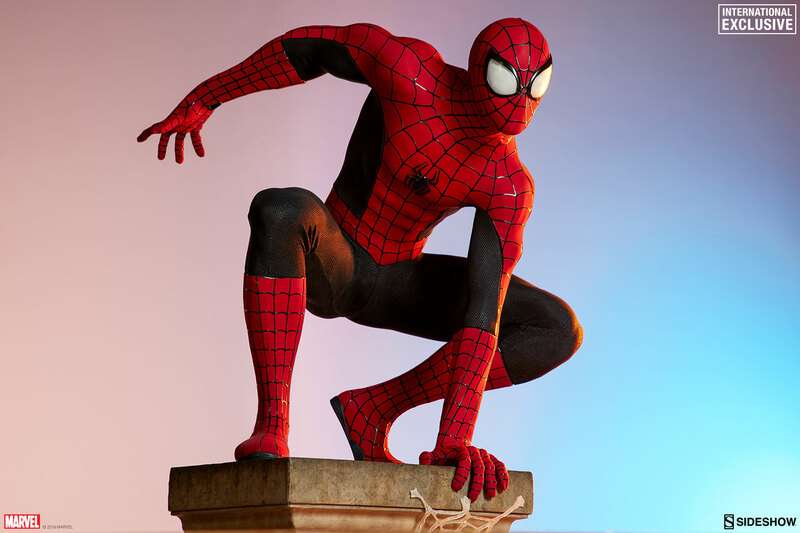 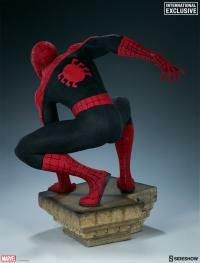 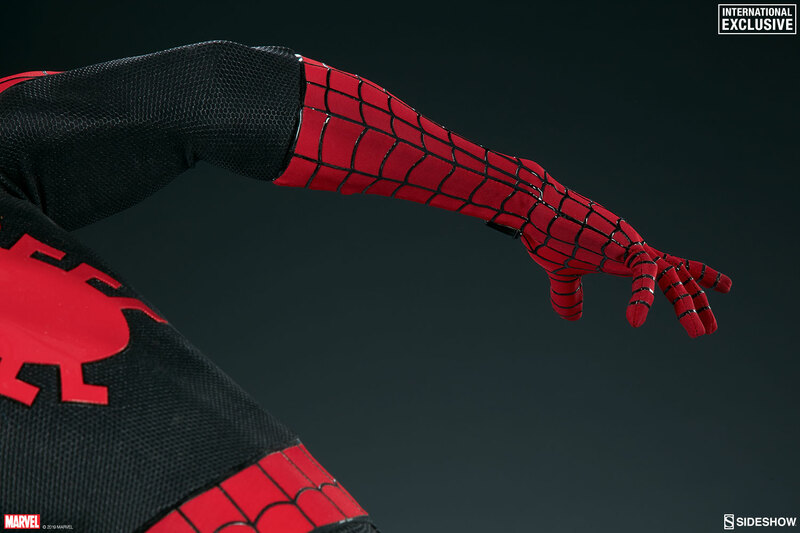 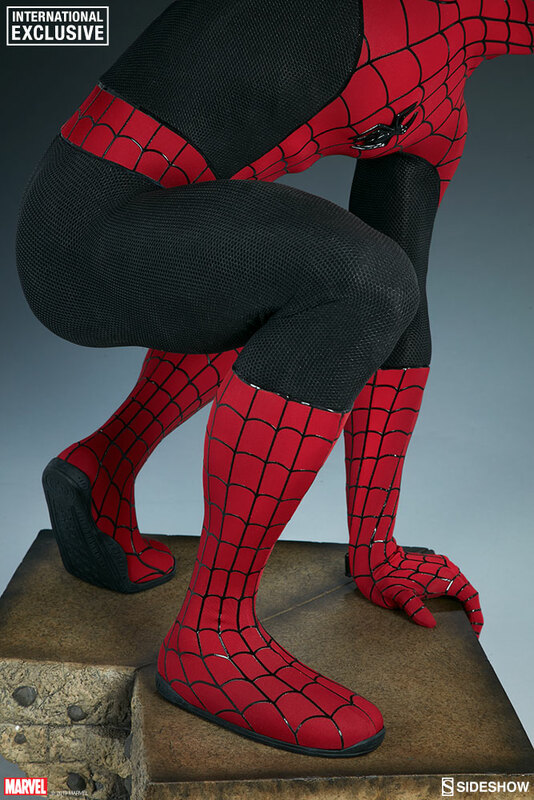 The polystone Spider-Man Vintage Legendary Scale™ Figure has a custom-tailored fabric costume in his retro red and black color scheme. 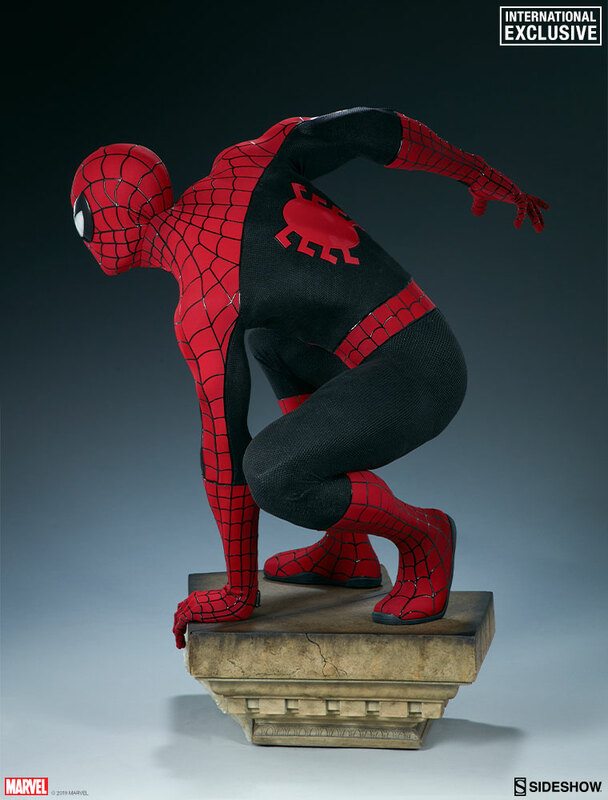 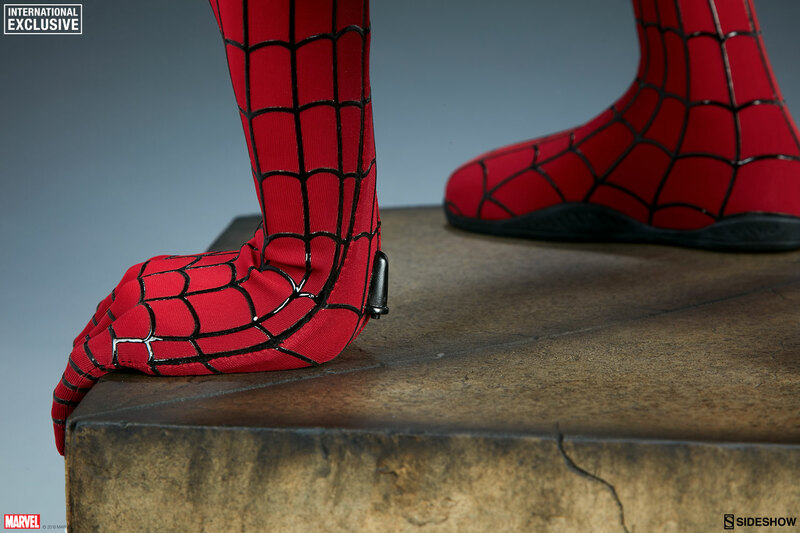 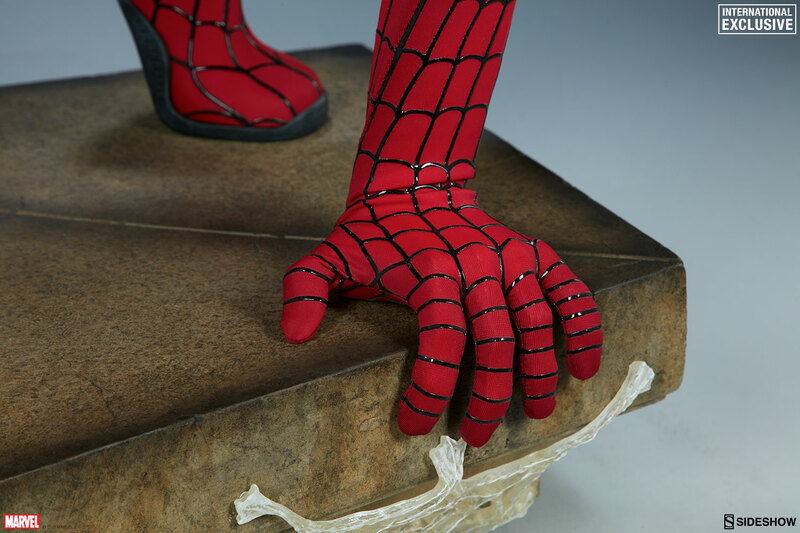 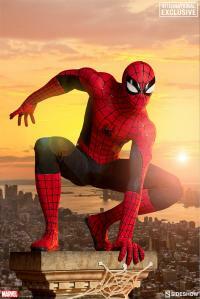 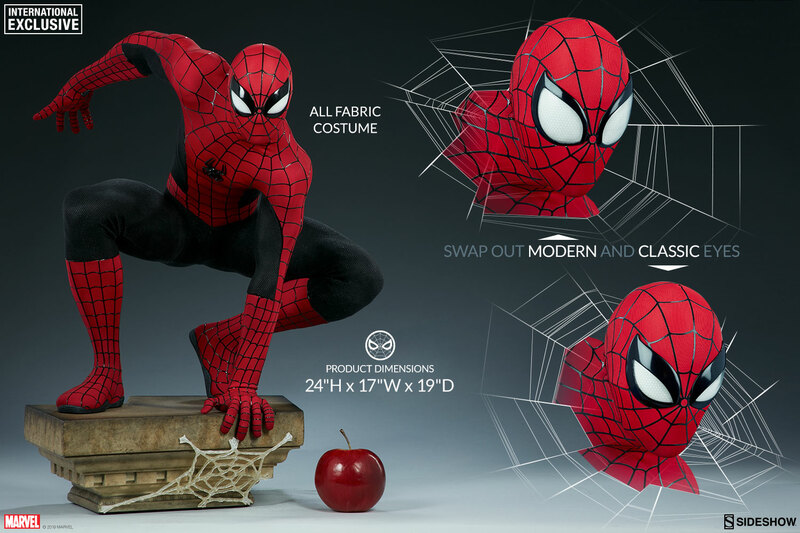 These spider-threads are intricately detailed with added dimension details, including printed musculature and raised black webbing that gives this Spider-Man a dynamic realism. 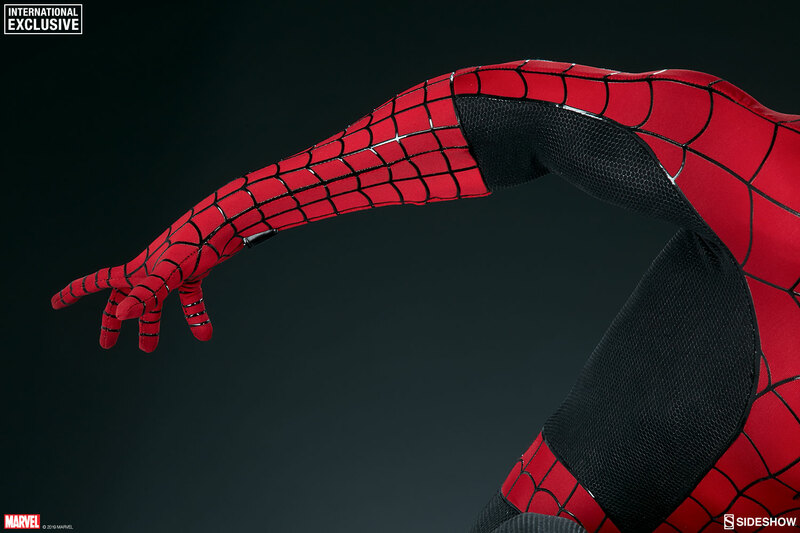 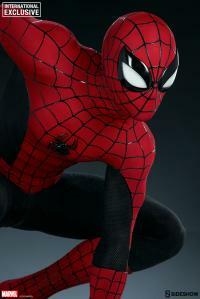 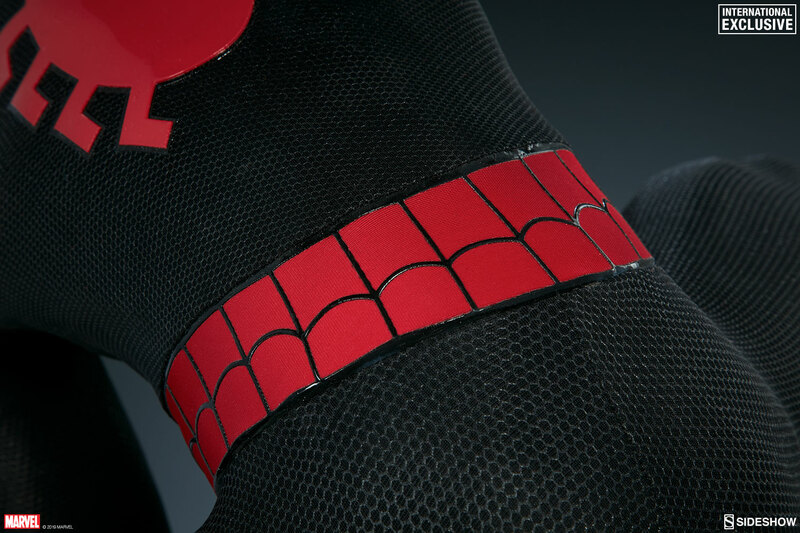 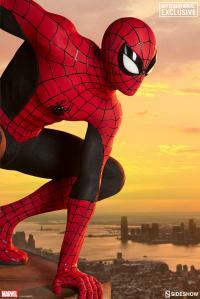 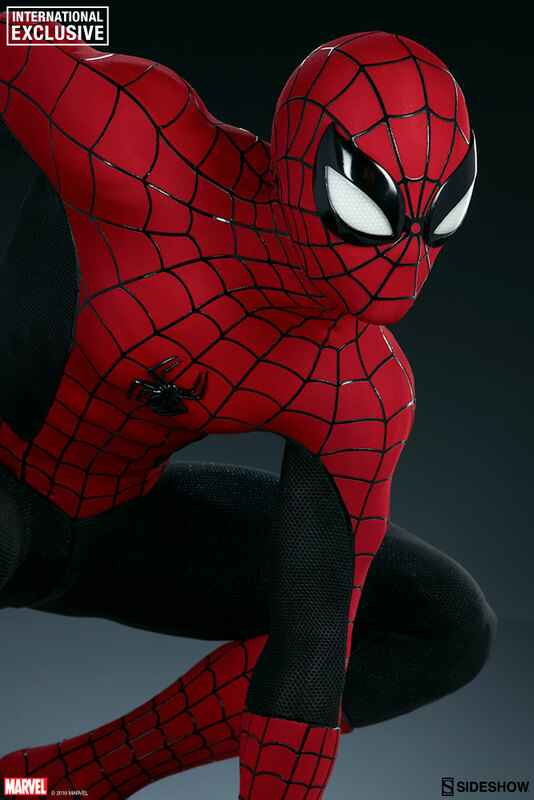 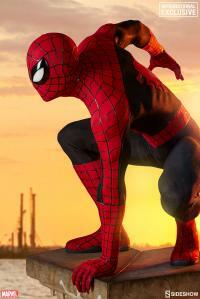 His suit also includes a raised black spider-symbol on the chest and a red spider-symbol on the back, along with web shooters on his wrists. 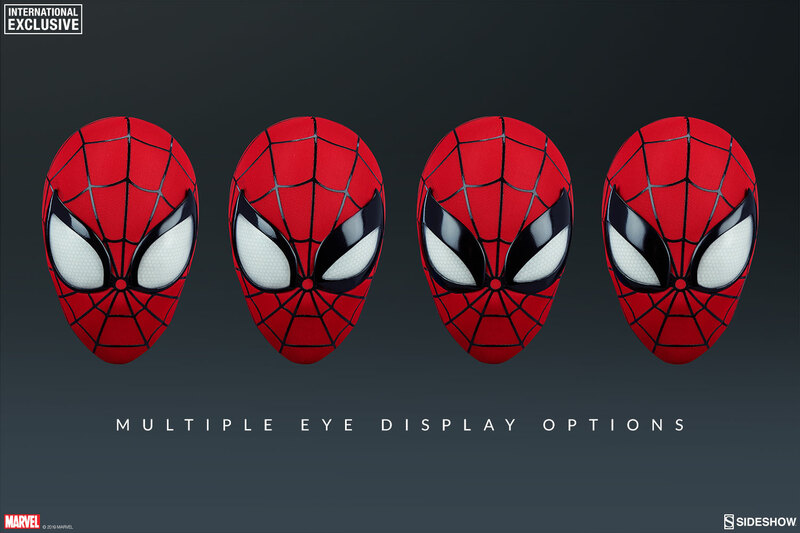 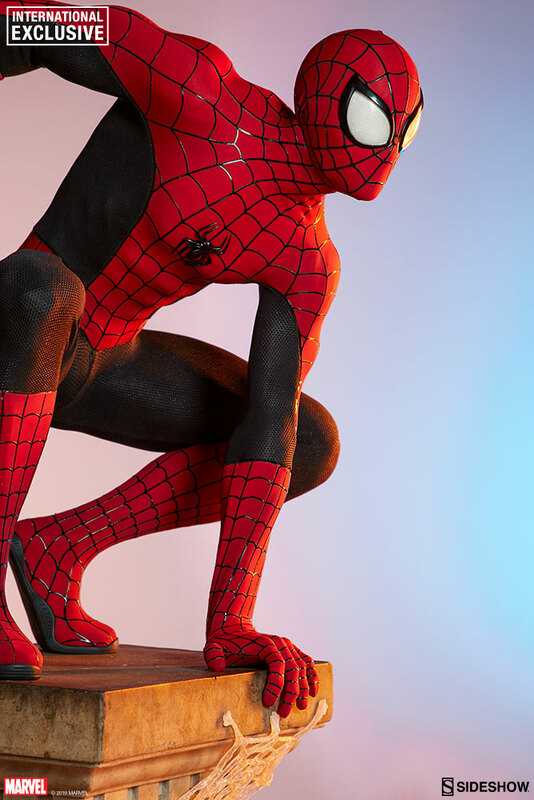 This Spider-Man collectible also includes two sets of swappable eye lenses, allowing you to display the web-head with both modern and classic mask looks, or to create a more aggressive expression by using one of each. 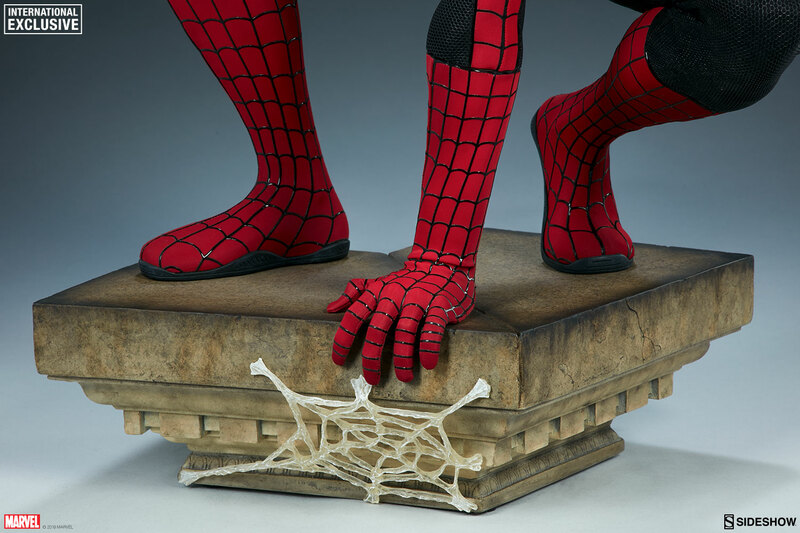 Swing through an international Sideshow retailer and add the International Exclusive Spider-Man Vintage Legendary Scale™ Figure to your friendly neighborhood of Marvel collectibles! 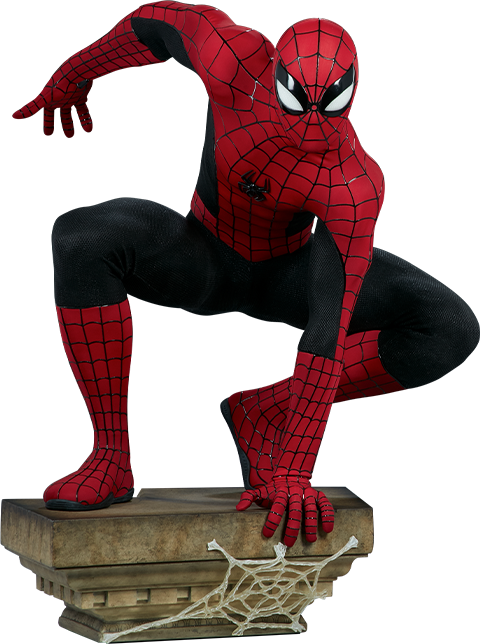 Pay as little as $900.00/mo.